Despite conjecturing and rumour-mongering, there is nothing to show that Ranjan Gogoi, a fine judge, isn’t fit to be the next CJI. 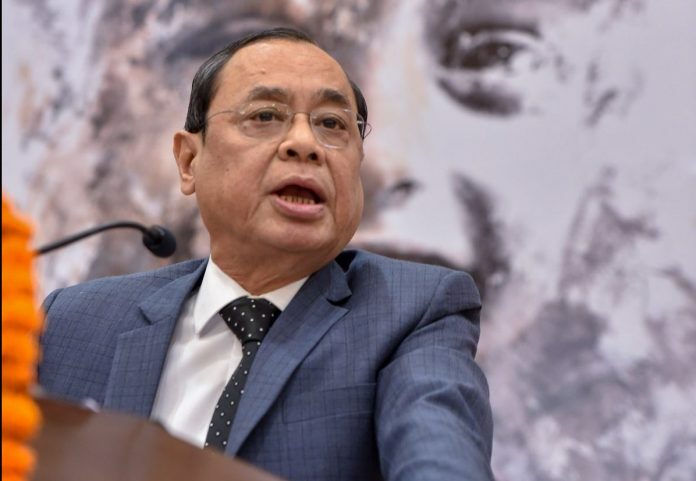 Will Justice Ranjan Gogoi, the senior-most Supreme Court judge and next in line to succeed Chief Justice of India Dipak Misra, become the CJI on 2 October? Will the Narendra Modi government punish him for being a part of the unprecedented 12 January press conference, viewed by many as aimed at the government’s continued interference in the functioning of judiciary? And most importantly, will a government of a party that keeps harping on its role in fighting the Emergency forget the principle of constitutional morality to deny Gogoi his rightful place on some flimsy grounds? There are many who feel that the BJP may already have lost some of the moral high ground for playing along in this charade built through a campaign of misinformation against Gogoi. All these and many more questions are foremost on the minds of all those who closely follow the Indian judiciary, as also several of those who don’t. BJP president Amit Shah’s statement at an event further fuelled speculation on the issue. Shah said the government would go by “what the chief justice recommends”. When a TV journalist called it a “big statement”, Shah replied: “Only for those who do not know the law”. “That is the law. So the question of the government choosing doesn’t arise,” Shah added. The next to fuel the speculation was Union law minister Ravi Shankar Prasad. In response to a question on the issue, Prasad said, with a bit of drama and a sense of hurt, “The question is imaginary… as far as the appointment of the Chief Justice of India is concerned, the convention is clear… the sitting chief justice names the senior-most judge (of the top court) as his successor. When the name comes to us, we will discuss it… No one has the right to question our intention”. Shah is wrong. The CJI has no role – correction, a very limited role – in the appointment of his successor. Why is Amit Shah wrong? When people, including those in the government, refer to the CJI’s role, they are possibly referring to a clause in the existing Memorandum of Procedure (MoP), the document that guides appointments to higher judiciary. According to the MoP, appointment to the office of the Chief Justice of India “should be of the senior-most judge of the Supreme Court considered fit to hold the office”. The law minister has to, “at the appropriate time”, seek the recommendation of the outgoing CJI for the appointment of the next CJI. Another significant clause says that in case there is any “doubt about the fitness of the senior-most judge to hold the office of the CJI”, consultation with other judges as envisaged in Article 124 (2) of the Constitution would have to be made. Few understand that MoP is not a statutory document, and thus has no legal basis to override the provisions of law in so far as appointment of CJI and judges of Supreme Court and high courts is concerned. Article 124 (2) of the Constitution, which deals with the “establishment and constitution of Supreme Court”, reads, “Every judge of the Supreme Court shall be appointed by the President by warrant under his hand and seal after consultation with such of the judges of the Supreme Court and of the high courts in the states as the President may deem necessary for the purpose and shall hold office until he attains the age of 65 years”. However, this provision has to be read in conjunction with the settled law. The law – laid down by a Constitution bench of the Supreme Court in 1993 in the Supreme Court Advocates-on-Record Association versus Union of India matter (better known as the Second Judges’ case) – is clear: Appointment to the office of the Chief Justice of India should be of the senior-most judge of the Supreme Court considered fit to hold the office. In so far as the appointment of the CJI is concerned, the judgment doesn’t mention that the recommendation of the outgoing CJI is a factor – in fact it doesn’t even mention such a recommendation. Since the settled law talks of seniority being the sole criteria, unless the senior-most judge is considered unfit, the clause in the MoP can’t override it. Just an idea: since the MoP also talks of the law minister, at the appropriate time, seeking the recommendation of the outgoing CJI for the appointment of the next CJI, what happens if the law minister – Prasad in this case – chooses not to write to CJI Misra? And, what if the CJI, without waiting for Prasad’s letter, sends Gogoi’s name? Will that be a ground to not appoint Gogoi as the CJI? Hypothetical but interesting nevertheless, one would think. So who will be the next CJI? Justice Gogoi. CJI Misra, whether he recommends Gogoi’s name as his successor, is immaterial to Gogoi’s appointment as CJI. To deny him that post, the government will have to find very sound, legally tenable reasons that will show categorically that he is unfit to be the CJI. So far, despite widespread conjecturing and rumour-mongering, most of which started after the press conference by four senior-most judges of the Supreme Court on 12 January, there is nothing to show that Gogoi, a fine judge, isn’t fit to be the next CJI. This is another strawman argument meant to slander and impugn the current Government for something which hasn’t even happened based entirely on hypotheticals and founded on liberal prejudice. Instead of condemning and slandering the Govt for hypotheticals as is expected from of the prejudiced and vile hatred inherent in the liberal mind – a rational human being would recognize that the MoP is what the GoI follows and has followed always. The CJI as the “head” of the Judicial Branch is responsible for fulfilling the “law” regarding to nomination of the CJI – not the Executive Branch. Mr Gagoi need not be unfit, for not being nominated for the post. Only some other has to be better. Just like the case of elevation of Justice Joseph of UK to SC. Others, who were senior were not found unfit. It will be catastrophic if convention is not followed.